Women during their pregnancy are at a risk group of primary dental diseases — the dental caries and the periodontal tissue inflammation. These pathological processes are dangerous not only for their oral cavity and for women in general, but for their unborn child as well. Therefore, the clinical observation of the pregnant women at the dentist is actual and very important for the early detection of risk factors of the dental disease, giving effect to a timely examination and a professional oral hygiene, a prevention and a rehabilitation. The aim of the research was to assess the effectiveness of the preventive program of common dental diseases in the pregnant women. Material and methods. A group of 67 pregnant women aged 18–34 years was under the observation. After completing the survey and documentation, the women were divided into main (MG, n=34) and control (KG, n=33) group of the pregnant women. A program of the prevention of common dental diseases was implemented in the MG. A monitoring of the KG was conducted by the standard procedure. Results and discussion. During the primary dental survey in the MG the caries intensity amounted about 9.67 of tooth, the intensity of the caries in KG was — 9.65 of tooth. At the late pregnancy the index value of DMF was increased to 9.97 of tooth in the MG, whereas in the KG — to 11.03 of tooth. At the beginning of the observation the Hygienic Index OHI$S in MG was 1.79 points, and in the KG was 1.76 points. At the late pregnancy it was observed a significant decrease of the hygienic index up to 1.06 points in the MG, whereas in the KG — indicators rose and made 2.08 points. At baseline indicators PMA in the MG were 20.45% and 18.72% in KG. In the late pregnancy rates of index PMA tended to decrease in the MG (11.68%) in contrast with the KG where it rose to 25.34%. Conclusions. As a result of the program of the prevention of common dental diseases in pregnancy there was a decrease of the dental caries in 5.1 times, the oral health status improved twice and the periodontal status got better 2.2 times comparable with those of pregnant women who were monitored for the standard procedure. Key words: prevention, pregnant women, the intensity of dental caries, oral hygiene, gingivitis. 1. Antimikrobnyie preparatyi v stomatologicheskoy praktike. Per s angl. Pod red M. Nyumana, A. van Vinkelhoffa. 2-e izd. 2004. Moskva, Azbuka: 328. 2. Vinogradova TF. 1988. Dispanserizatsiya detey u stomatologa. Moskva, Meditsina: 252. 3. Zharkova OA, Dubovets AV, Polyakova DD. 2014. Aspektyi profilaktiki osnovnyih stomatologicheskih zabolevaniy v period beremennosti. Vestnik VGMU. 13; 4: 126—132. 4. Larina IV. 2004. Primenenie lechebno-profilakticheskih sredstv dlya gigienyi polosti rta ot farmatsevticheskoy kompanii GlaxoSmithKline Healthcare v kompleksnom lechenii zabolevaniy parodonta. Stomatologiya segodnya. 6(37): 2. 5. Mark Moti Popko. Lechenie beremennoy zhenschinyi. Izbr lektsii Ierusalimskogo un-ta. http://www.100mat.ru/profession/mer.htm. 6. Nosova VF, Rabinovich SA. 2001. Osobennosti stomatologicheskoy pomoschi beremennyim i kormyaschim zhenschinam. Klinicheskaya stomatol. 3: 46—49. 7. Mchedlidze TSh, Kiselnikova LP, Bogomolov DB et al. 2004. Opyit organizatsii gigienicheskoy sluzhbyi v krupnom stomatologicheskom uchrezhdenii. Institut stomatol. 1: 10—13. 8. Parpaley EA, Parpaley EI. 2004. Ratsionalnyie podhodyi k stomatologicheskoy profilaktike i lecheniyu zhenschin v period beremennosti. Dentalnyie tehnologii. 3-4(17): 10—13. 9. Pro orhanizatsiiu ambulatornoi akushersko-hinekolohichnoi dopomohy v Ukraini. 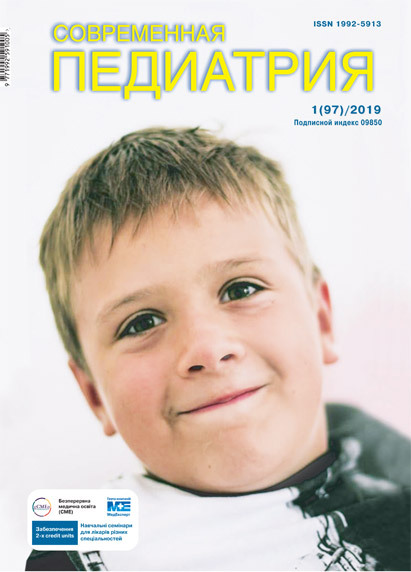 Nakaz MOZ Ukrainy № 417 vid 5.07.2011 r. http://moz_ukra_na_kaz_15.07.2011_417_pro_organzaczyu_ambulatorno_akusherko-gnekolog_dopomogi_v_ukra. 10. 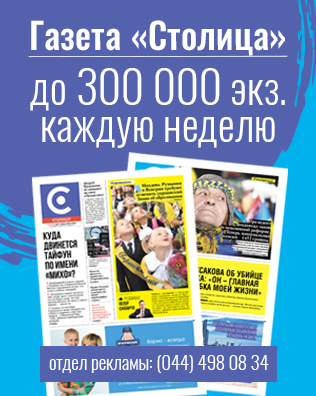 Kalinovska NI, Kalinovskyi YuT, Orikhivska NV et al. 2011. Stan hihiieny porozhnyny rota u vahitnykh. Medytsyna transportu Ukrainy. 3: 63—66. 11. Tolmacheva SM, Lukinyih LM. 2005. Stomatologicheskie zabolevaniya v period beremennosti i ih profilaktika. Moskva, Med kniga: 152. 12. Udovitskaya EV, Bukreeva NM. 1987. Organizatsiya gigienicheskogo obucheniya i vospitaniya roditeley i detey s tselyu profilaktiki stomatologicheskih zabolevaniy. Epidemiologiya i profilaktika stomat zabolevaniy. 18: 127—132. 13. Uspenskaya OA, Shevchenko EA, Kazarina NV. 2008. Stomatologiya beremennyih. N Novgorod, Iz-vo Nizhegorod gosmedakademii: 22. 14. Chuchmay GS. 1969. Stomatologicheskaya dispanserizatsiya beremennyih i ee profilakticheskoe znachenie. LvIv: 36. 15. Yakubova II, Krizhalko OV. 2008. Obosnovanie taktiki vracha — stomatologa do i vo vremya beremennosti, v period laktatsii (obzor literaturyi). Chast II. I trimestr beremennosti. Stomatologiya detskogo vozrasta i profilaktika. VII; 1(24): 33—41. 16. Yakubova II, Krizhalko OV. 2010. Obosnovanie taktiki vracha-stomatologa do i vo vremya beremennosti, v period laktatsii. Chast IV. II trimestr beremennosti. Stomatologiya detskogo vozrasta i profilaktika. IH; 3(34): 35—39. 17. Yakubova II, Kuzmina VA. 2015. Sekretyi stomatologicheskogo zdorovya buduschih mam i ih detey. Profilaktika Today. 19: 16—21. 18. Yakubova II, Krizhalko OV. 2011. OrganIzatsIya stomatologIchnogo dispansernogo sposterezhennya vagItnih zhInok. VIsnik stomatol. 2(75): 111—115. 19. Yli-Knuuttila, Snall J, Kari K et al. 2006. Colonization of Lactobacillus rhamnosus GG in the oral cavity. Oral microbiology Immunology. 21; 2 (Apr): 129—131. 20. Detman LA, Cottrell BH, Denis-Luque MF. 2010. Exploring dental care misconceptions and barriers in pregnancy. Birth. 37; 4 (Dec): 318—324. 21. Simark-Mattsson C, Emilson CG, Hakansson EG et al. 2007. Lactobacillus-mediated interference of mutans streptococci in caries-free vs. caries-active subjects. Eur Journ Oral Sci. 115; 4 (Aug): 308—314. 22. Marchi KS, Fisher-Owen SA, Weintraub JA et al. 2010. Most pregnant women in California do not receive dental care: findings from a population-based study. 125; 6 (Nov-Dec): 831—842. 23. Quilligan EJ. 1982. Maternal physiology. Philadelphia: 341.